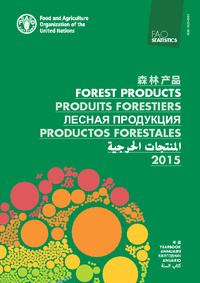 The FAO Yearbook of Forest Products is a compilation of statistical data on basic forest products for all countries and territories of the world. It contains series of annual data on the volume of production and the volume and value of trade in forest products. It includes tables showing direction of trade and average unit values of trade for certain products. Statistical information in the yearbook is based primarily on data provided to the FAO Forestry Department by the countries through questionnaires or official publications. In the absence of official data, FAO makes an estimate based on the best information available.